A list of Dos and Dont's that came out of the Career Chat. 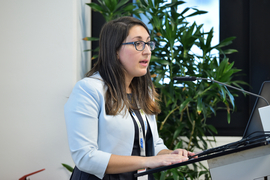 Carolina Ciacci is a full Professor of Gastroenterology at University of Salerno (Italy), a member of the UEG Equality & Diversity Taskforce and a mother of two adult children. 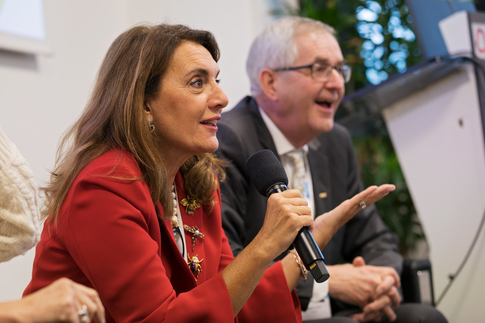 At UEG Week 2018, she participated in the session “Career Chat: Women as educators” and in the Facebook live chat “How to improve work-life balance for doctors?”. Based on these discussions and her own personal experience she shares her ten tips for work life balance in this edition of the GI Hive. The World Economic Forum Gender Gap Report of November 2017 indicated that it would take 100 years to close the gender gap at a world level1. While some academics are working towards closing the education gap, the intent to parity is yet to be translated into action on the representation and voice in other professional areas. In the medical science field, the increasing number of women has not paralleled so far by a proportionate number of women in the leading positions, nor by a modification of the man-tailored traditional working environment in one more suitable to the modern model of family. It is believed that woman leadership can accelerate the process of women empowerment, via closing the education gap, translating the good intents into action, but mainly by identifying and removing barriers for women to succeed. United European Gastroenterology (UEG)’s global vision is of promoting and providing equal opportunities and to be a place free of discrimination. The vision is supported by the UEG Equality & Diversity Task Force (E&D TF). During UEG Week 2018, the Equality & Diversity Task Force and the Young Talent Group of UEG organized the Career Chat and a Facebook live interview with the aim of supporting young gastroenterologists (GIs) to reach their goals and a satisfying work-life balance. Both initiatives were successful, and the discussion aimed to make both senior and young GIs conscious and creative in removing inherent barriers to succeed. It was recognized that the working set in most GI and endoscopy units is still man-modelled. However, young doctors felt the need to set up systems that help them to go through the natural life stage changes while having a satisfying career. The participants (both genders, but in the vast majority woman) expressed their need to find the right track in advancing women and making the workplace more gender-inclusive. In the Career Chat, was highlighted that the vast majority of the “leadership” or “career” challenges women GIs are facing are neither career nor profession related. They are emotional, often linked to the sense of guilt of not being a good parent because of the time and efforts spent at work. As a result women, especially mothers, have a sense of failure in achieving good results both at home and at work. The discussion between the senior and young participants of the Career Chat showed that to become successful and fully express their strengths and creativity, professionals independent of gender should strive to have some habits but might also need to give up some of them. Make a careful analysis of your potential and find out how to empower yourself, both at work and within the family. Set up your priorities, short and long-term goals. Get the skills you need to succeed. Look around, find a spot for you in your working setting, fill up the empty space with expertise and knowledge. Live up to your potential! Choose your family partner carefully. This will help to share your family duties with him/her. Make a written list of each of your tasks. Try to set a routine for chores but know that you both need to be flexible. Ask for help! Outsourcing is not a shame. It is hard to be on the same day on call, a mother, and a good housekeeper. Hire all the help you can afford, even if you have to pay a fee. Make a careful plan of your expenses, since outsourcing is expensive. In some periods of your life, it is more important to spend less on entertaining and more on babysitting or housekeeping. Keep healthy! Eat well, train your body, and get a good night´s sleep. Don’t forget to look after your mind. Have a little quiet time alone. Enjoy small moments of harmony. It is vital to be fit for the daily challenges of your life. Learn to say “no”! Saying “no” is difficult; however, you need to protect yourself from unnecessary and unfair demands that will add nothing to your personal growth and career. Be firm and protect your space. Failure is not an option (Gene Kranz, Apollo 13). Accept the possibility that sometimes in your life your career might slow down temporarily because of family engagements. Use your time at home cleverly; you might find a way to write a review or improve your knowledge in a particular field. Do not mix up family and work. When you are at work, focus on what you are doing. Do not make unnecessary phone calls or waste time discussing your family life with your colleagues. Remember also that your colleagues may have supported you when you were on parental leave, so be helpful and available for them, too. On the other hand, if you are at home with your family limit checking your emails, or answering phone calls as much as possible. Multitasking will not work if you are striving for excellence in both fields. It seems that there is not a perfect recipe to achieve work-life balance. It will never be 50:50 because the amount of time and efforts to dedicate at work or at the family/social life will vary according to the personal priorities and also the times of life. In conclusion, senior and young GIs agreed with the idea that life as a physician is tough but rewarding. The recommendation is to refuse to give up being a woman and a mother. Life experience will give a woman leverage in being a physician, maybe a better one. 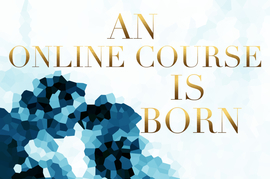 Developing an online course is not as complicated as you may think.